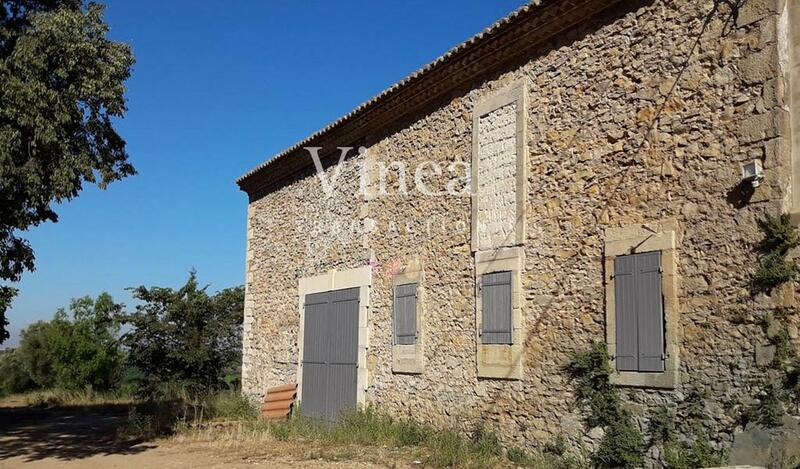 This property of contiguous ground is located at 15 mn from Montpellier, in the heart of the AOP Muscat d Lunel appellation. It is easily accessed with the motorway axis and the international airport of Montpellier nearby. Farming and living buildings have been renovated recently, with a main house of 130 m² and another appartment of 80 m². Another appartment of 65 m² needs renovation. The 21.5 ha vineyard is grouped around the buildings and classed in AOP Muscat de Lunel and IGP d'Oc.The rolled pebbles terroir is higly qualitative ; the plots are appropriately dimensioned and easy to farm and the vineyard is irrigable. A former wine cellar of 300 m² is not used anymore. Farming buildings also include an open shed of 130 m², a garage and a workshop of 90 m².